The Cataraqui Source Protection Plan includes monitoring and reporting requirements for mandatory policies and recommendations for non‐binding policies. Under the Clean Water Act, 2006 the Cataraqui Source Protection Authority is required to prepare an implementation report for the Ontario Ministry of the Environment and Climate Change by May 1 of each year. Although the first implementation report isn’t due until May 1, 2018, it is necessary to ensure that the information being collected to support this reporting is meaningful and comparable across the Cataraqui Source Protection Area, as well as the Province. A summary of source water protection implementation is available in the report below. 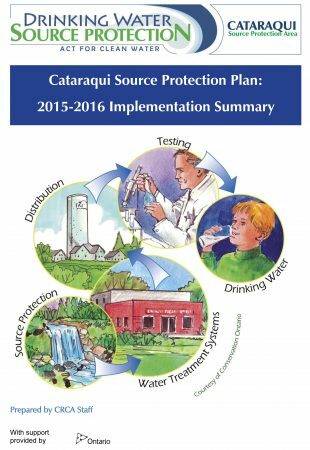 The Cataraqui Source Protection Plan: 2015-2016 Implementation Summary presents reported implementation efforts from April 1, 2015 until March 31, 2016. Notes about continued progress are also included.